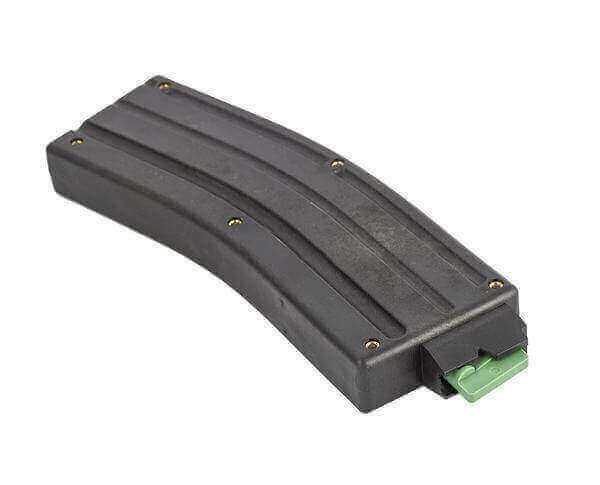 This CMMG .22 LR AR15 magazine works with CMMG .22 conversion kits. It is made of black polymer, and holds 25 rounds. Same size as a standard curved USGI magazine. Easily disassembled with 6 hex screws.